Ambu’s NEOX ECG electrode for premature babies is an innovative novelty in its field. But the user guide for applying the electrode proved to leave uncertainties – and safe handling of the electrode with small patients that weigh around 1 kg is a challenge. design-people contributed to a user guide, that ensures safe and smooth handling of the electrode. Different visualisation styles and illustrations were tested with users in order to make the messages clear. 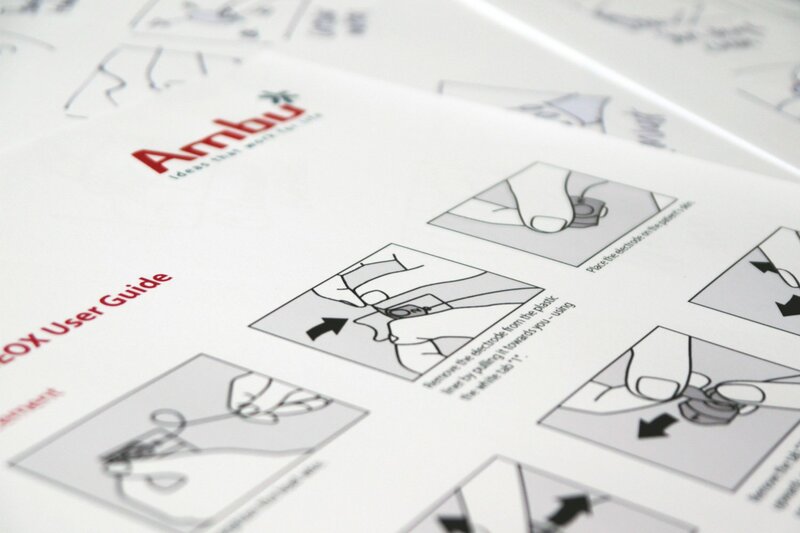 Moreover, the new user guide makes it possible to use the same illustrations on packaging, hand-out and in an animated flash version of the user guide – creating a more unified communication and supporting a lean production process at Ambu.